Weaving the World Together-During the Festival Tseten, a recent arrival from Tibet, demonstrates traditional techniques to create a beautiful carpet weaving. 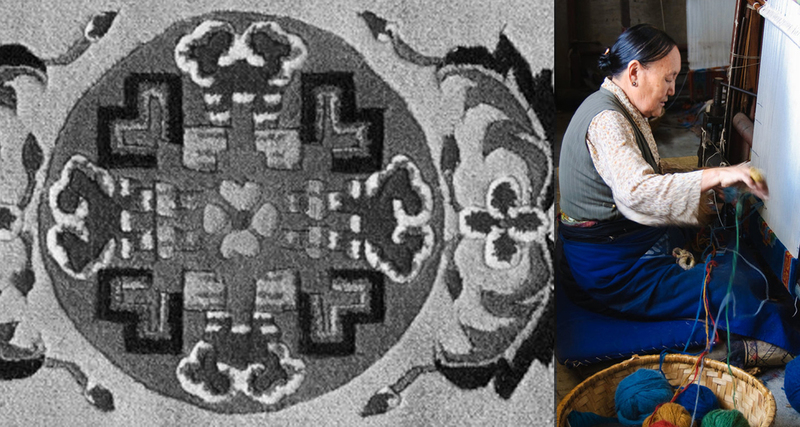 An exquisite collection of Tibetan carpets will be exhibited. 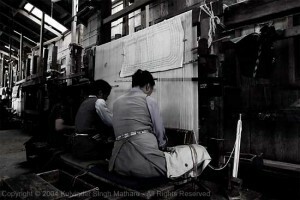 Having evolved in isolation, knotting methods used differ from all other traditions worldwide and once finished, most Tibetan rugs are ‘carved’ to outline elements of the design. Tibetan carpets are used for flooring, blankets, wall hangings, sleeping mats, chair covers and horse saddles and traditionally bear symbols to bestow prosperity, good luck, long life and protection.